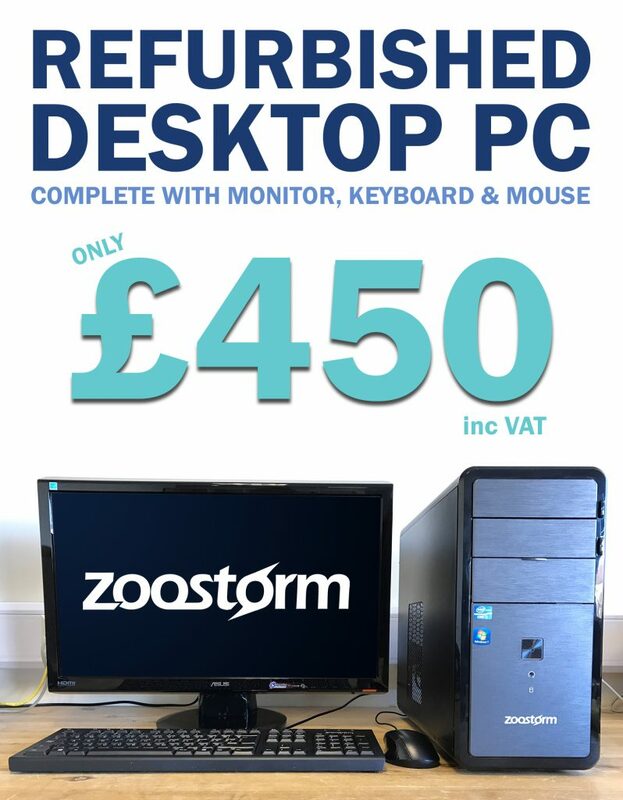 We have a recently refurbished Zoostorm Desktop PC- complete with keyboard, mouse and Full HD 23.5″ Monitor. The specs of this computer make it a great budget gaming PC with it’s dedicated graphics card, 8GB RAM and i5 processor. 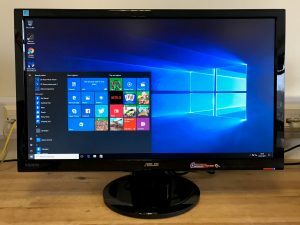 If gaming isn’t your thing, this desktop will make a very capable day-to-day PC for all the standard uses, handling multiple tasks such as emails, word processing and online browsing with ease. Additionally, the 1 TB Hard Drive offers more than enough room for storing all your documents, photos and videos. You can check out the full specs below. 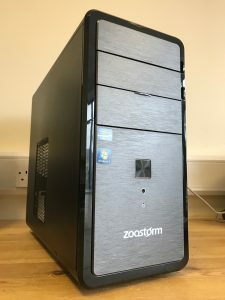 When selling refurbished PCs, ISCAdigital always offers to transfer your files from your old desktop or laptop PC as part of the price, meaning you skip the hassle and can use the new computer as soon as you get home. We can also offer additional upgrades such as Solid State Drives (SSDs), additional RAM, wifi dongle etc.. at great prices so just ask for a quote. As with all our refurbs, we add on some free software (Google Chrome, VLC Media Player, Open Office) meaning you can start using the PC straight away. If you are interested in this offer, get in touch asap – our refurbs never hang around for long! Give us a call on 01392 453400 or pop into the shop at 300 Topsham Road and we will be happy to help you with any further information you may need.